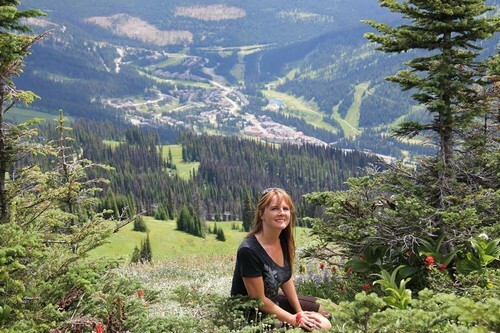 Sun Peaks hiking offers spectacular 360' vistas, kaleidoscopes of beautiful wild flower-covered meadows, wonderful wildlife viewing opportunities, and all the healthy exercise and fresh air you can handle. And just like with the winter skiing at Sun Peaks Resort, there is a hiking trail for everyone and every fitness level as part of their Best Sun Peaks summer activities. There is even a very easy Sun Peaks waterfall hike (well, a walk really). Click for a link to our Sun Peaks Trails description page. Click for our Mount Tod and Tod Lake hiking trail review. You should also consider the Sun Peaks Lake to Peak Adventure Package with a Stand Up Paddleboard lesson/tour, lunch, and a guided hike to the Top of the World at Sun Peaks. From the flat cross-country/nordic ski trails around the resort and out to McGillivray Lake, to the double black diamond Great Elevations Trail leading to the summit of Tod Mountain (an awesome hike - especially mid-July to Mid-August! ), there are hiking trails for all ages and abilities. Choose to either hike or walk directly from your wonderful Sun Peaks accommodation, or head to the village, purchase your lift pass, and get a 'lift' up to your hiking starting point at 6,000 feet (1,825 meters) above sea level. Are you new to hiking? No problem - book a guided tour through the Sun Peaks Resort Visitor's Centre and they will ensure you have a wonderful hike, or try the Lake to Peak Adventure Package. Sun Peaks offers at least 16 different hiking trails ranging from flat cross-country trails to challenging 'take your breath away' (literally) hikes. Sun Peaks hiking season officially starts June 27 with mid-July to mid-August being the peak season for the beautiful wild flower blossoms. Day lift passes start at $12 for 6-12 year olds to $21 for adults 18 and over and run 10am to 5pm daily. There are over 35km (16 different trails) of marked pathways, comprised of 4 beginner, 10 intermediate and 2 advanced trails. Lower priced twilight (4-7pm) passes are also available. Click the Liftopia image on the left for best Sun Peaks discounted lift passes. You are out in nature and subject to weather changes, elevation changes and possible injury. Do not hike alone and always ensure someone knows where you are planning to hike and when you plan to return. Wear runners with good grip - no sandals or flip-flops. Bring a knapsack with plenty of water, light energy snacks, a whistle or air horn, a fully charged cell phone if you have one, an extra layer of clothes, sunscreen, bug spray and perhaps even some bear spray to be ready in all circumstances. 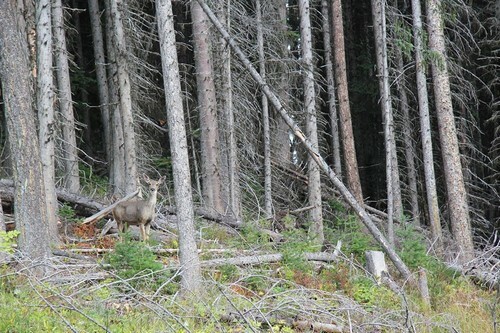 Standard nature rules apply - please stay on the marked pathways, take only memories and photos, pack out what you pack in, respect and wildlife you may encounter, and be careful to ensure you have a wonderful hiking experience. Well that depends, but our favorite hike so far is the Crystal Bowl loop to the Top of the World Trail. 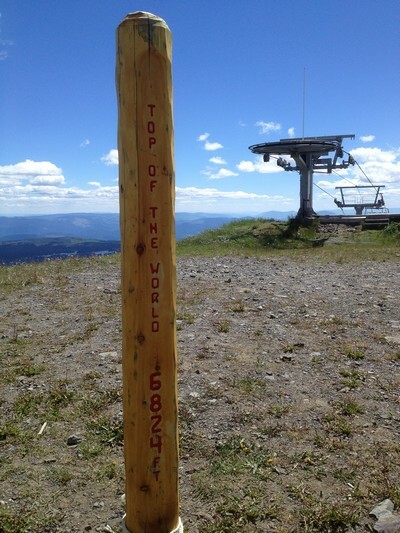 It wasn't too difficult and provides beautiful, breathtaking views of Sun Peaks Resort and village. We also recently completed the Great Elevation Trail to the top of Tod Mountain to experience even more amazing views. What is your favorite Sun Peaks hike - let us know and send a Sun Peaks review. Feel free to share your stories and photos (with credits given) via our Contact us page. Have fun - be safe - see you on the mountains! Click for an interactive online or PDF Sun Peaks Hiking trail map.